Thanks to Amazon Prime, I received my new Bluetooth earphones the next day after placing the order. I will be replacing the Plantronics BackBeat Go 2 which is having an issue as discussed in this post. It came in a nice pouch with lots of other spare ear tips and a charging micro USB cable. The default eartips worked fine for me so I didn't change them. At first I paired it with my iPhone 6 which is my day to day phone at the moment. I could easily pair it with the iPhone. It shows the battery level of the earbuds when it is connected just like the Backbeats. The quality is very good too, much better than the Backbeats. The quality of the Backbeats were quite poor. I didn't feel this initially, but even compared to the Apple EarPods, they were very clumsy. Remember though that I'm not an audiophile and this is a subjective claim. The other thing I love about the QY7 is its battery life. It would work way longer than the Backbeats. I haven't measured the battery life properly, but according to my experience it would go for more than 8 hours without a charge. I listen to podcasts while commuting to work and that is about 1hr in total. I would 90% battery left according to the battery status shown on the iPhone for the earbuds a day after fully charging the battery of it. If this is accurate, it could be as high as 10hrs. It could be that these earbuds carry a larger battery than the Backbeats because they are a bit larger. Also it appears that the earbuds turn themselves off after a while if it is not connected to a device. Not the most amazing design but I'm up for longer battery life. 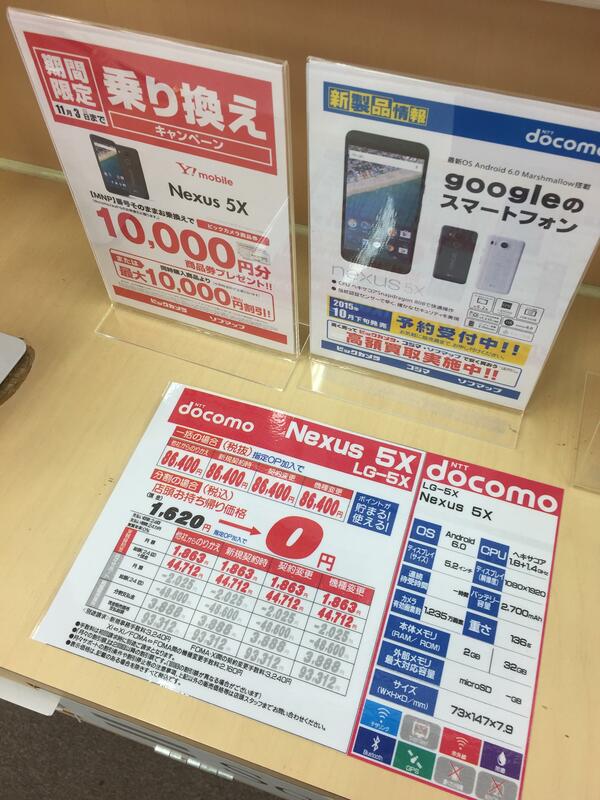 Nexus 5X in Japan is expensive and carrier locked!!! Android Authority wrote an article about how expensive the Nexus 5X in Japan is, even when bought directly from Google Store. 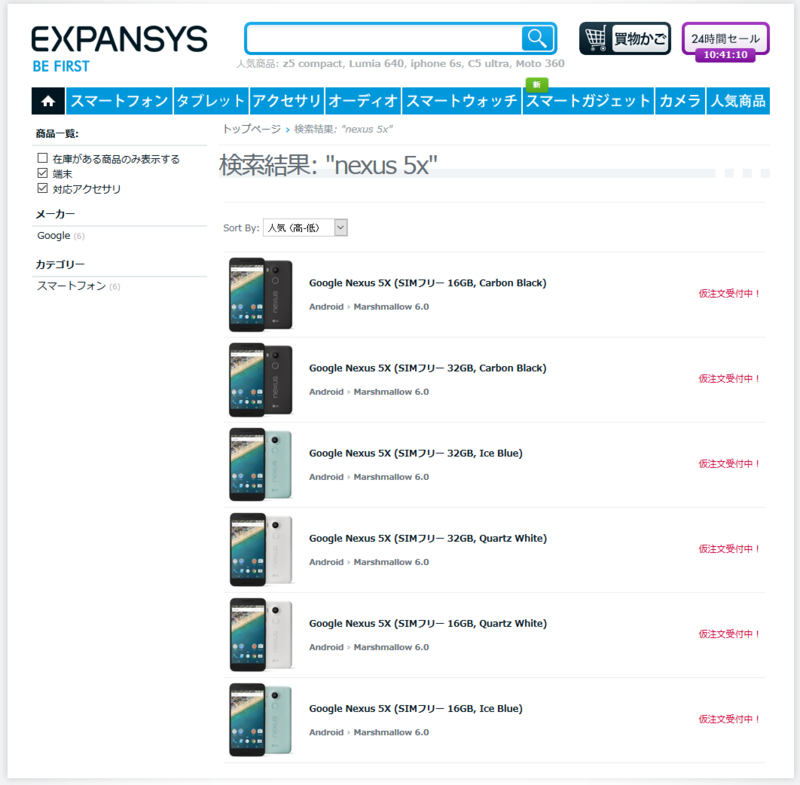 But the high price is only one part of how much messed up Nexus 5X in Japan is. It is not even unlocked! A Nexus phone that is not unlocked must be never heard of. Last week I paid a visit to the Biccamera to see if there were any nice deals on phones. The usual “iPhone 6 for free” deals were available, but the catch is that unless you use it for more than a year, you will have to pay a hefty penalty. I won’t be in Japan for another whole year so I gave up the idea. No new phone for me then. But I didn't want to waste my trip, so I looked a round for new gadgets. There was the Nexus 5X on display and I was amazed by the price you would have to pay upfront. That cost will be massively discounted over the course of two years if you use MNP, but let's be realistic now. Who wants to use the same phone for 2 years? Well, I don't. So if you are switching carriers at mid point, you'll have to pay them back half of that hefty price. That comes about 80% to the value of a brand new Nexus 5X from Google Store. And you definitely don’t want to buy it with a new connection because then the phone will not be discounted. You will be paying a massive JPY 80,000 plus amount for the phone alone (for the 32GB model). When I bought the Nexus 5, one of the things that made it my obvious choice was that it wasn't locked to any carrier. I have confirmed that it is truly unlocked because I could use a Telstra prepaid SIM in it on our trip to Australia early this month. I'm not sure why they have locked the Nexus 5X to The carrier especially when the price of the phone is massively inflated. This doesn't make sense because people won't buy it from Y-Mobile and switch to another carrier. If the phone was free or hugely subsidized (more than any penalties that you would have to pay for early termination of contract) then people would do this. But not with all these conditions. I don't even understand how they managed to get Google to go along with this stupid idea in the first place. Yes, you can get it unlocked after 6 months but you can get the iPhone 6S for the same price and it can be unlocked after 6 months too. There is no competition between the iPhone 6S and the Nexus 5X. This is definitely a ploy by the carriers to trap customers in a 2 year plan. They should understand that more and more people are moving to MVNOs because they are much cheaper and do not lock you to a 2 year plan. MVNOs are more applicable in an age like this where circuit calls are not necessary. There are million VoIP clients which are much cheaper than the absurd circuit switched mobile call prices in Japan. I had been using the Plantronics Backbeat Go 2 earbuds since January 2014 to listen to music and podcasts on my phone. I bought them as a birthday present for myself. Those are also my first Bluetooth earbuds. Sadly, I would have to replace them soon. It appears that the connection between the left and right drivers of the earbuds are damaged. I no longer can hear anything from the left driver but when I wiggle the cable, the audio comes for a split second and goes away. Same thing happens when I walk while wearing the earbuds because the cable moves. And it is very irritating. So right now I'm wearing it only on the right ear. Obviously I lose the audio quality and it cannot block any noise the outside anymore. I don't have any spare earbuds, so have to wear the Backbeats this way until I can get some new ones. Well, I do have the Apple Earpods but I don't want to use them because I plan on selling the iPhone in a few months. I don't want to use any of the accessories because it may lower the resale value. There is no way to repair these as far as I can tell. There aren't any screws or anything so that I can disassemble it without damaging it. I was unable to find a tutorial on disassembling either. The unit appears to be sealed. But since I'll be throwing them in the garbage bin, I might as well tamper it. But I could not find time for that. I'll compare it with the Backbeats when I receive it, so be tuned for that post. I’ll through the Backbeat in the garbage bin once I am confident QY7 would work for me. This is not the first time I had issues with the Backbeat Go 2. Several times I had the earbuds freeze on me and I had to let the battery drain before I can recharge them and use them again. I almost RMAed them when this happened the first time. Android 6.0 which is commonly known as Marshmallow, came out only few days ago and I wasn't expecting to see the OTA for my Nexus 5 anytime soon based on my previous experience with how long gone Google took to push the updates for my device. Hence I was amazed to see the update notification by the time I woke up in the morning. For whatever reason, my wife's phone used to receive updates sooner than mine but this time mine got the higher priority. It could be because my phone was being used heavily in the last few days because we were traveling overseas and my wife's phone didn't have a SIM card in it. Regardless, I'm glad that my phone received the update first. Despite the fact that we were supposed to go out and I needed the phone to find my way around and back, I decided to press the update button. It took a little while longer than I'm used to because the Internet connection down here isn't as awesome as the connection back at my apartment, but I had a working system within 30 minutes or so.